If you aren't familiar with the "John Doe" investigation that rocked Wisconsin politics a few years ago, or are hazy on the details, go back and read my coverage of how the Left engaged in gross abuses of criminal law to intimidate, harass and silence conservatives in the state. The specifics were chilling -- from pre-dawn raids on political activists' homes, to stifling gag orders preventing them from saying a peep about what was happening to them, all in pursuit of criminalizing and punishing the Badger State conservative movement. Eventually, one target violated his gag order and blew the whistle on the whole operation, eventually leading to investigations of the investigations, and multiple courts shutting down the witch hunts with extreme prejudice. Wisconsin’s infamous John Doe investigation was more sinister and politically driven than originally reported. A Wisconsin Attorney General report on the year-long investigation into leaks of sealed John Doe court documents to a liberal British publication in September 2016 finds a rogue agency of partisan bureaucrats bent on a mission “to bring down the (Gov. Scott) Walker campaign and the Governor himself.” The AG report, released Wednesday, details an expanded John Doe probe into a “broad range of Wisconsin Republicans,” a “John Doe III,” according to Attorney General Brad Schimel, that widened the scope of the so-called John Doe II investigation into dozens of right-of-center groups and scores of conservatives. Republican lawmakers, conservative talk show hosts, a former employee from the MacIver Institute, average citizens, even churches, were secretly monitored by the dark John Doe. 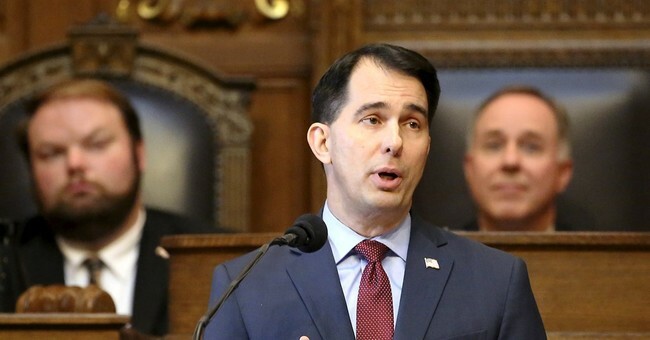 State Department of Justice investigators found hundreds of thousands of John Doe documents in the possession of the GAB long after they were ordered to be turned over to the Wisconsin Supreme Court. The Government Accountability Board, the state’s former “nonpartisan” speech cop, proved to be more partisan than originally suspected, the state Department of Justice report found. For reasons that “perhaps may never be fully explained,” GAB held onto thousands of private emails from Wisconsin conservatives in several folders on their servers marked “Opposition Research.” The report’s findings validate what conservatives have long contended was nothing more than a witch-hunt into limited government groups and the governor who was turning conservative ideas into public policy. The Wisconsin AG's office concluded that it couldn't file charges against the responsible parties, in part because key evidence mysteriously vanished. Is anyone terribly surprised by this? And in an all-too familiar occurrence involving allegations of government abuse, a key hard drive believed to contain the court-sealed John Doe documents leaked to The Guardian in October 2016 has suspiciously disappeared – GAB officials with knowledge of the hard drive can’t seem to explain what happened to it. Still, despite a damning report laying out myriad examples of criminal misconduct by government bureaucrats, Schimel, a Republican, says his Department of Justice cannot file criminal charges – chiefly because of disappearing evidence, less-than-cooperative John Doe agents and the “systemic and pervasive mishandling of John Doe evidence (that) likely resulted in circumstances allowing the Guardian leak in the first place.” Such failures prevent prosecutors from proving criminal liability beyond a reasonable doubt, the attorney general wrote, although the report points to a small universe of GAB employees that had access to the leaked documents. They also seemed to have a political ax to grind. The Schimel probe found John Doe investigators obtained the personal email accounts and IP login information for 35 GOP aides and political operatives, including Vukmir, R-Brookfield, plus hundreds of thousands of private emails they exchanged with Walker, Assembly Speaker Robin Vos, U.S. Sen. Ron Johnson, former U.S. Senate candidate Terrence Wall, former RNC chairman and chief of staff to President Donald Trump Reince Priebus, U.S. Congressman Sean Duffy, state Sens. Van Wanggaard, R-Racine, and Howard Marklein, R-Spring Green, State Treasurer Matt Adamczyk, Walker campaign chairman Joe Fadness and certain legislative staff members...Vukmir now a U.S. Senate candidate, issued a statement Wednesday saying the findings in the report are “absolutely appalling” and that they underscore the importance of dismantling the GAB. “This criminal behavior is inexcusable, and the individuals involved in this belong in prison,” Vukmir said. It wasn't as bad as we thought. It was far, far worse worse. Stunning really.